There are plenty of festivals in Peru – and many unique ones in the Sacred Valley! They’re generally colourful, musical, spectacular events, and anyone is welcome to attend. 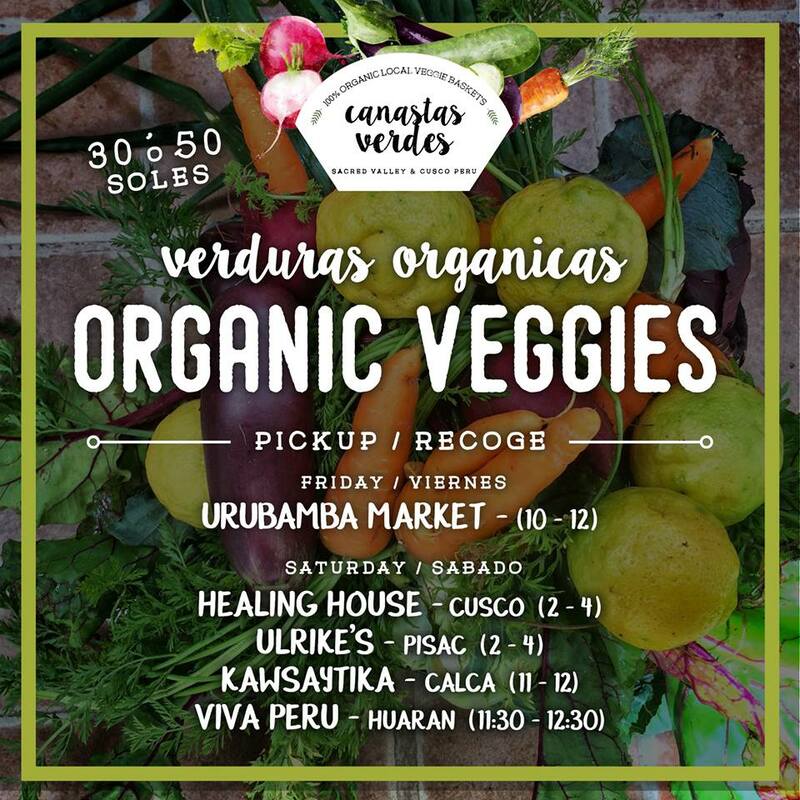 To really understand Andean culture and to integrate into it, why not join in? 2 Dia de los Muertos (All Souls Day), remembering of the dead. 8 Immaculate Conception, Public Holiday. 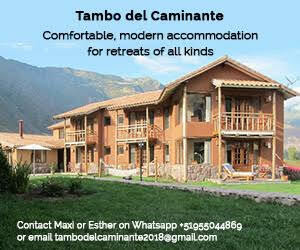 This is a beautiful festival held in the picturesque town of Ollantaytambo each year. This festival, held on the Epiphany(January 6th), is a Christian celebration which commemorates the visit by the Three Wise Men bearing presents of gold, frankincense and myrrh shortly after Jesus’ birth. Children are often given gifts, and special foods are eaten. This is a week-long festival usually held some time in February. The date changes and depends on when Easter falls. Festivities begin in Pisac on the Sunday 7 weeks before Easter Sunday and continue throughout the following week in the nearby communities. 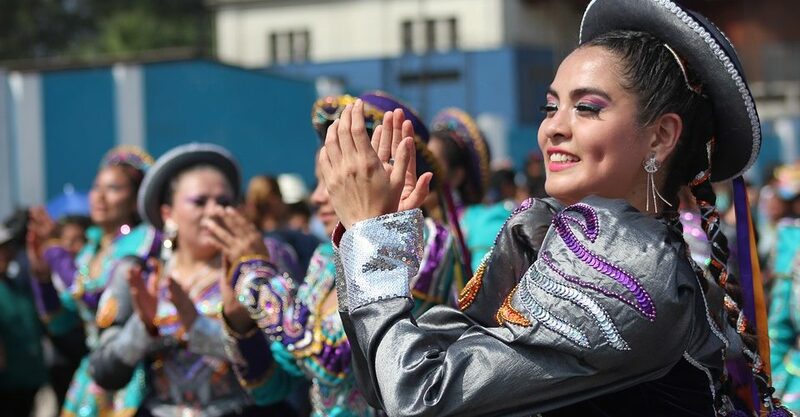 Pisac’s carnival is a very colourful affair, with many dance groups from Pisac and the surrounding communities competing for prizes and community honour. Throughout the week, expect to be doused with foam or water – this is a Carnival tradition that is practised just about everywhere! Held on the Sunday before Qoyllur R’iti in the town of Ollantaytambo (actually 50 days after Easter Sunday), the fiesta includes many dances, processions, church masses, and fireworks. Unfortunately, there is also a cockfight and also a bullfight – cruel spectacles that many are trying to end. The fiesta is spread over 4 days. Possibly the biggest festival in the valley, the ‘Inca Sun Festival’ is staged at the massive ruins of Sacsayhuaman. 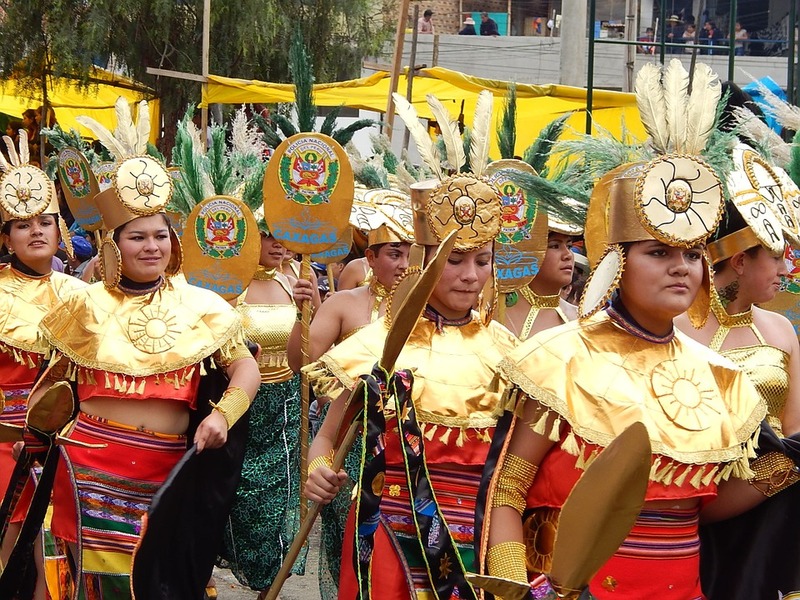 This event is really more a pageant than a fiesta, with hundreds of locals playing the parts of Inca priests, nobles, virgins of the sun and soldiers. Getting a seat at the event can be expensive, but you can get a good idea of the festivities for free, as the procession starts at the Temple of the Sun and winds its way to the Plaza de Armas throughout the morning. Get tickets for the event here. 28 – Independence Day. 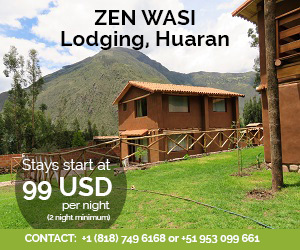 This is a national holiday, and the most spectacular parades can be seen in Cusco. 15 Virgen Asunta (Qoya, Calca). These two towns host several days of dancing, music, food and craft stalls. The Virgen de Natividad is celebrated in many small villages throughout Peru on the 8th September. In the Cusco region one of the largest festivals is held in Chinchero. 1-2 All Saints / All Souls Day – Hallowe’en is not a big deal, (though you can find some parties in Cusco) but the following two days involve some church-going and parties.